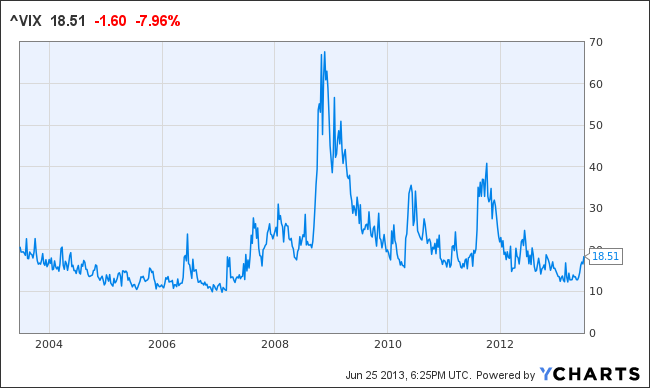 The chart above is a Year to Date look at what some call the "fear" metric, more formally known as the CBOE Volatility Index (VIX for short). 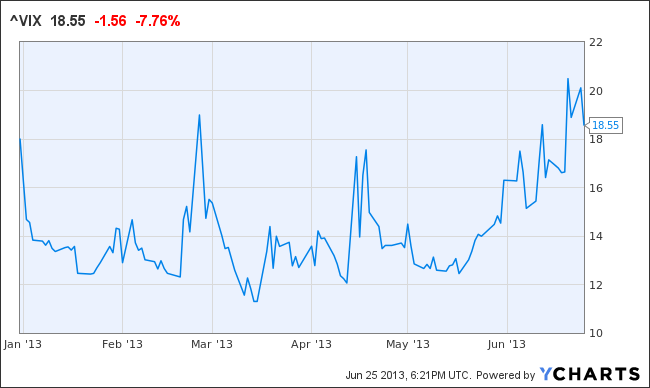 The VIX is one way to measure current expectations of market volatility. The last few days have seemed pretty volatile, with the S&P dropping ~ 2.6% since June 19, with a few decent bumps up and down along the way. And here we have the same metric charted over a longer period of time, going back 10 years to see the trend coming into and exiting the crisis of '08. In both charts it is apparent that volatility (technically it is expected volatility) has spiked a bit lately. Will we see the spike continue up to levels last seen during those humps in 2010-2011? Or will we see the VIX settle back down in the low teens? And what does volatility imply for potential returns in the stock market? 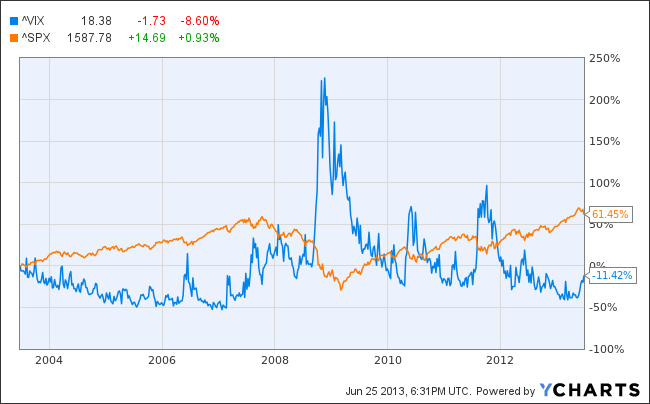 This final chart overlays the 10 year Volatility Index with the S&P 500 stock index. There is definitely some correlation between volatility and return, but not in a simplistic one to one kind of relationship. It would seem a reasonable guess that if uncertainty pushes volatility higher in the near future, that stock prices would fall a bit. Our perspective at DRW Financial is that the proper approach to potential volatility is to stay focused on each client's core concerns around investment objectives and risk tolerances, with a particular emphasis on liquidity concerns (volatility really informs liquidity risks).